Exercise gives your child what he needs to maintain an active lifestyle, Maintaining a healthy weight, and growing strong. 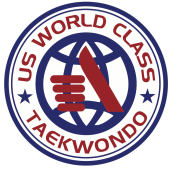 As one of the best in Children Martial Arts Instruction, at U.S. WORLD CLASS TAEKWONDO BETHANY we focus on Encouraging Physical Activity - for children 6 to 12 years old, an adequate amount of exercise can also help them build a positive outlook on life. Learning to Set and Achieve Goals - When your child strives toward each new belt, he’s learning valuable lessons about setting and reaching his goals,.Instilling a Sense of Respect – Learning Taekwondo will require your children to show their instructor the utmost respect. Today’s children culture doesn’t always include respect for authority, adults or those in advanced positions. When children go to their TAEKWONDO class though, they will be learning lessons in respect as it is instilled throughout our program curriculum. Improvement in Other Areas of Life – The benefits of martial arts training doesn’t end in the TAEKWONDO SCHOOL. The boost in confidence, increased fitness level and new cooperation skills will also help your child navigate the academic and social aspects of school, affect his behavior at home and have an all-around good influence on him as they develop into adulthood.